The Rupert Neve Designs Portico 5032 is a single channel Mic Pre/EQ having an independent transformer-coupled Line level input for the EQ section. 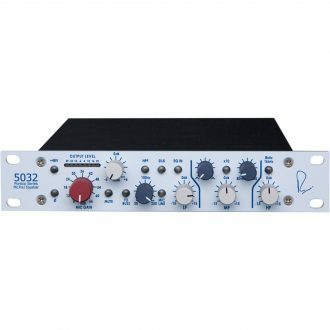 It includes a full-featured Mic Pre identical to that in the 5012, with the addition of a flexible 3-band Equalizer in the Mr. Rupert Neve tradition. 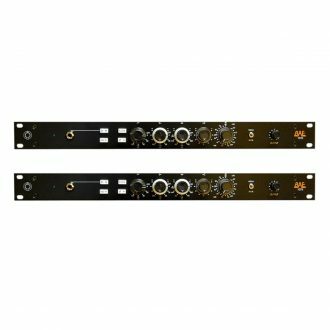 The 5032 is equipped with high and low frequency shelving curves and a Parametric Mid Band covering 80Hz-8kHz in two ranges. In addition to the 72 dB of gain, the Rupert Neve Designs Portico 5032 mic pre includes individually selectable phase, mute, phantom power, a swept high pass filter from 20-250 Hz, and the Silk circuit which yields the rich warmth and presence of the renowned classic designs. 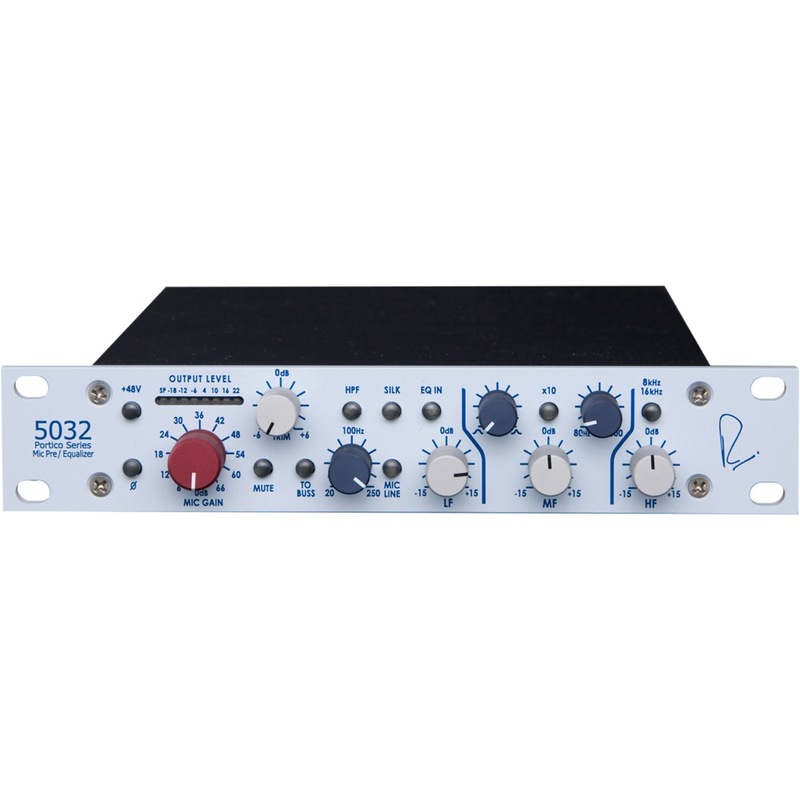 The Rupert Neve Designs Portico 5032 Equalizer makes use of both a High Frequency and Low Frequency shelving characteristic that provide steeply rising or falling curve shapes. Such curves, when used aggressively, enable second and even third harmonics to be varied in relation to a fundamental, allowing the natural sound of a musical instrument to be varied. 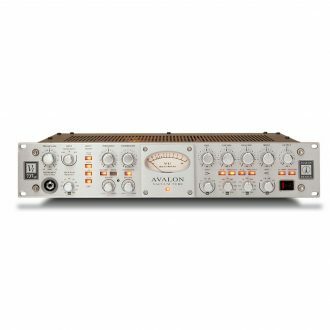 Used less aggressively, bands of frequencies above or below the “turnover” frequency can be adjusted to desired levels. 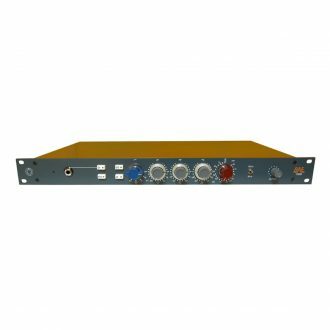 This section provides a very wide range of frequencies in two bands with a powerful “Q” (bandwidth) control. The range of boost or cut is +/-15dB with a true “Flat” response at the center of the control track. The steepness of the actual curve slopes can exceed 6 dB/octave which results in a powerful chisel type of tool. 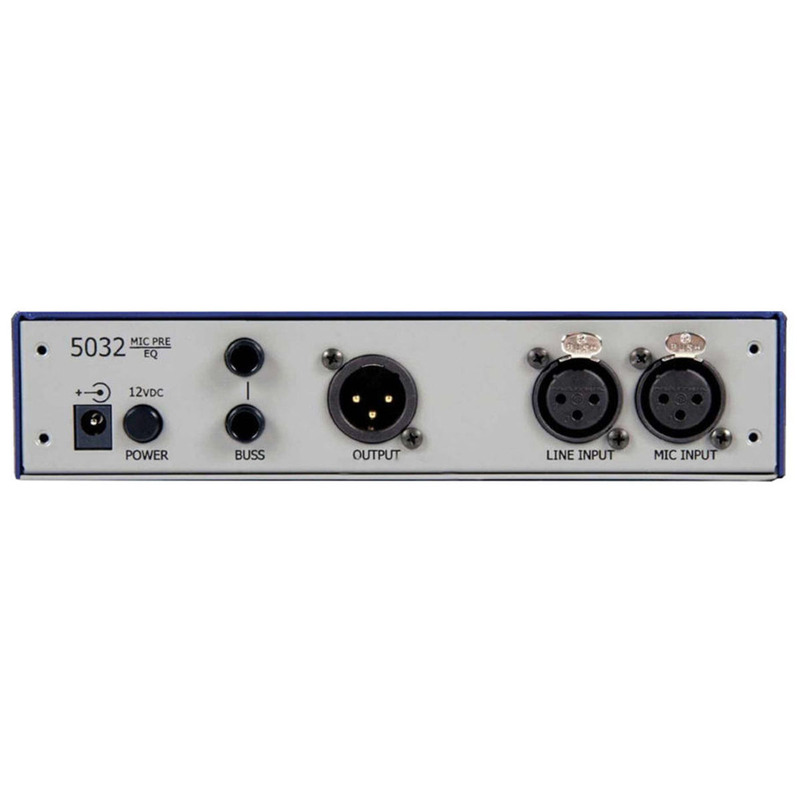 The “Q” control offers completely variable bandwidth, from very narrow to super wide, having a range of 0.6 to 3.0.